DeltaPatents : Case Law DeltaPatents EPO Case Law: T 914/13 - One 71(3) in the hand worth two in the bush? The Board avails itself of its power under Article 111(1) EPC to remit the case back to the examining division for further prosecution. 1.1 With respect to the main request, the appellant argued that a Rule 71(3) EPC communication had been previously issued by the examining division on 16 May 2012. Nevertheless the Board is not bound to find the claims allowable merely by the existence of this communication, nor is the examining division. The request has anyway changed from that considered previously. Further, the appellant has supplied written arguments concerning inventive step. (a) The dependency of claim 2 reads 'according to any preceding claim'. Whilst this might normally be understandable in the context of the claims alone as meaning the same as 'according to claim 1', page 3, lines 14 and 15 of the description refer to a plurality of both independent and dependent claims which are not present. The resulting inconsistency between the claims and the description appears prima facie to result in a lack of clarity and lack of support by the description (Article 84 EPC). (b) The two paragraphs of the description from page 3a, line 12 to page 3b, line 6 are indicated as being 'described herein by way of information only'. These paragraphs, at least prima facie, appear to be 'obviously irrelevant' for the invention (Rule 48(1)(c) EPC). 2. For the avoidance of doubt, it should be noted that the Board has not concluded that the subject-matter of claim 1 of the main request involves an inventive step. Since the decision to reject the application only deals with other matters, it appears fitting that the appellant should have a possibility to have its arguments considered at two instances should this be required. This decision T 914/13 (pdf) has European Case Law Identifier: ECLI:EP:BA:2017:T091413.20170720. The file wrapper can be found here. 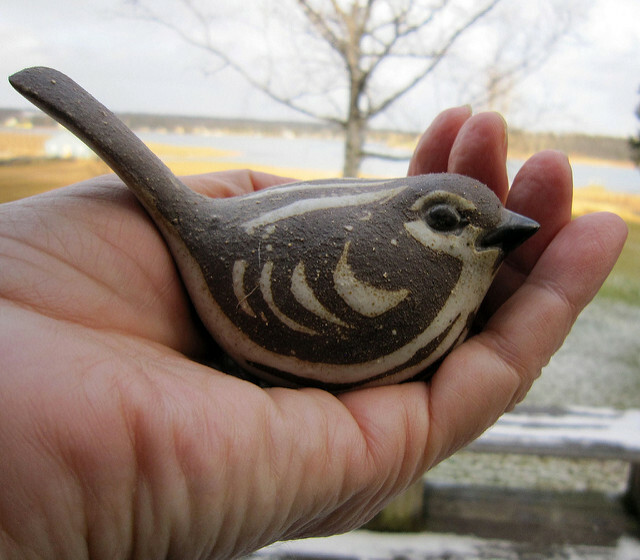 Photo "A bird in the hand is worth two in the bush" by Kate Ter Haar obtained via Flickr under CC BY 2.0 license (no changes made). One of the reasons for remittal was that the new main request has anyway changed from that considered previously. The second reason is that inventive step of the actual main request had never been discussed as such. It might indeed have been wiser to accept the set of claims deemed patentable in the communication under R 71(3), even if such set had drawbacks noticed by the board. As the main problems were under Art 84, they could not have been used in opposition. Does this not breach the principle of good faith? Once a claims is considered allowable, this should not be pulled back by EPO (at least not without input from a 3rd party or an opponent). Rule 71a(2) EPC allows resumption of examination. It is still contrary to the principle of good faith to not allow a claim which was previously explictly examined and allowed. An applicant has a legitimate expectation that EPO means what it says. There can be no legitimate expectation where Rule 71a(2) is clear that there is no legitimate expectation. See also G 10/93. The EPO has the responsibility to grant only valid patents. During grant proceedings there is no entitlement to an invalid patent. Even without Rule 71a(2) EPC it would seem highly doubtful that a mere intention as opposed to a decision to grant could give rise to the legitimate expectation that a patent on any particular text will be granted. One should not confuse the principle of good faith or of legitimate expectations, with the notion of free disposition of a party. The latter prevails as it is in the EPC. The European Patent Office shall examine, and decide upon, the European patent application or the European patent only in the text submitted to it, or agreed, by the applicant or the proprietor of the patent. It is the applicant who decided upon receipt of the communication under R 71(3) not to accept it, and wanted a broader claim. As this request had been refused during the previous OP, there was no other way than to refuse the application. It is only after a communication of the Board that the “nearly granted” request was introduced in the appeal proceedings, albeit amended. When filing an appeal Art 111 (1) states clearly that “The Board of Appeal may exercise any power within the competence of the department which was responsible for the decision appealed”, so that the Board was perfectly empowered to decide, or at least comment on the request presented to it. If one would follow the reasoning of the commenters, the mere fact that a communication under R 71(3) had been issued would withhold the Board to look at it. I fail to see a legal basis for this. Good faith or of legitimate expectations have nothing to do here. The Board was kind enough to draw the attention of some defects in the request remitted. As the claim had been amended, then it has to be checked for IS by the ED.